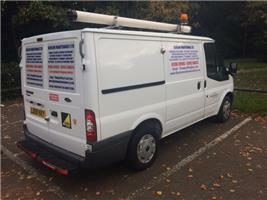 Blueline Maintenance Ltd - Bathrooms, Builder, Kitchens based in Lawford, Essex. We are a Building company based in Suffolk / North Essex with an extensive portfolio of previous work and over 3 decades of experience in the building industry. We specialise in refurbishments of the home and can supply & fit Kitchens - Bathrooms - Wet rooms. We cover almost all the building trades - I am a qualified Carpenter, Plumber & Plasterer. I have CITY & GUILDS qualifications in ALL of those trades ( click on BACKGROUND CHECKS at top of this page, and you will see my qualifications have been verified by checkatrade - also we hold a upper tier waste licence to legally carry any rubbish etc from the work undertaken) plus I have 30 years’ experience! We undertake small, medium & large jobs and also work closely with insurance companies for fire, storm, flood damage / repairs. We are a family run Business and offer a fair and competitive price on all our work. Our motto is "We only disappoint the competition". We offer discounts to the elderly (retired) and disabled or less abled. Most of Suffolk / North Essex areas are covered and we operate 7 days a week on some of our projects. For a free quotation with professional advice as standard please give us a call today. We are fully insured for your peace of mind. Suffolk-Essex, We cover all of Suffolk And most of north Essex areas. Most other areas considered.